Hello Everyone! This week I was lucky enough to participate in a fan interview conference call with Eddie and three other fans. 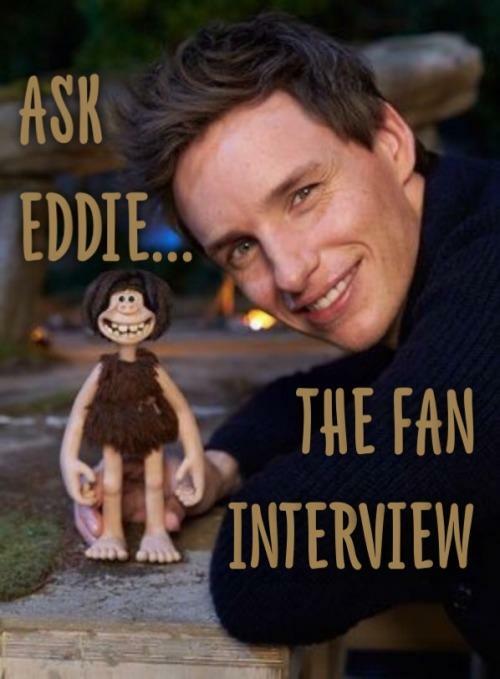 I always enjoy being apart of these great interviews and to enjoy Eddie’s graciousness. And a giant thank you to Lionsgate for helping put this together for us! 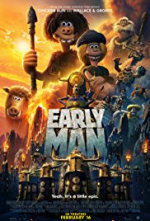 Be sure to go out and see The Early Man, in theaters tomorrow! 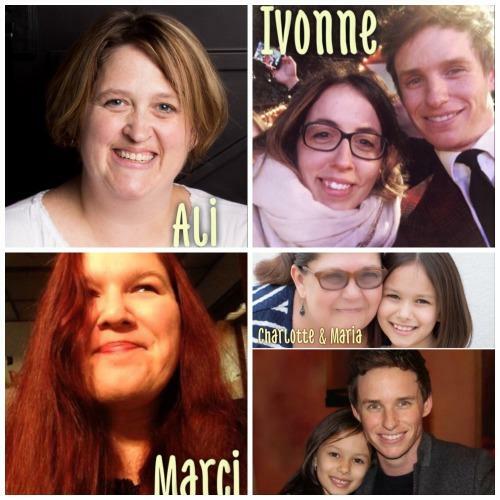 From Ali, U.S., for five years the proprietor of www.eddieredmayne.net, with more than a half-million views a year: Since you have stepped into a new role in your personal life as a father these last two years, how has this influenced you as a performer? Does it change your decisions in choosing new roles, such as Early Man, or the way you approach the role itself? Eddie: Hey guys! First, thanks for jumping on the phone. What a great question. I’ve been asked actually that sort of thing — whether the choice to do Early Man or Beasts or the chance to do more family-centric films stems from Iris arriving. To be absolutely honest, it was not that. It was purely because J.K. Rowling is one of the great storytellers, and Nick Park — certainly in the U.K. — is such an institution. He is one of the great storytellers. And so it would be madness to say no. You don’t know whether those things that look like choices affect the sort of work you get offered, but generally I still try to chase down things that I’m interested in rather than just sit back and wait to see what’s presented. Everyone keeps thinking, are you making these because of Iris? And you know, Iris is 18 months old. Iris cannot see Fantastic Beasts. Iris has the attention span that can barely last the trailer of Early Man. Maybe in the future they’ll see these films, but not at the moment. From Ivonne, a Catalonian film student in London, who has managed www.eddie-redmayne.net for 10 years, and who has 73,000+ followers on her @eddieronline Twitter account: It was so interesting to see the energy in the recording booth with you and Maisie Williams and to hear from her how you helped her performance. You’ve always been very generous and complimentary to your female co-stars and women behind-the-scenes, so this may not be much of an issue for you. But in your upcoming films, how are you expecting that relationships and sets might be different because of the #TimesUp movement? Eddie: I think there’s just been a massive sea-change, and I think that it will change the way that every man is in every workplace across the world. I’ve worked with many formidable women, but certainly when you go on a film set still you see that it is a male-centric place…And so I think that the question, to me, is the same way the film business is being focused on and actors are being focused on, it’s also about people behind the camera, it’s about directors, producers, heads of studios, and then of course into all other industries. So I think, I hope that there will be a shift. For a long time, people would say, oh, perhaps that female-centric films weren’t as commercially successful. But the top three films of the last year were fronted by women, some of them directed by women. It’s just not a valid excuse any more. So I think there will be a change. Charlotte, U.S., who with granddaughter Maria runs BespokeRedmayne accounts on Tumblr, Twitter and Instagram with nearly 30,000 followers: You have now done three films in a row that have either involved imaginary creatures and green screens or, in the case of Early Man, voice acting. We have heard that you are shooting The Aeronauts with Felicity Jones soon. Is it going to be an adjustment to go back to more of a conventionally-told, two-person story? Eddie: I am so excited for it. I just found it the most beautiful script. It’s got this sort of epic scale to it, and yet it’s also a deeply intimate two-hander. And I’m so excited to work with Felicity again. I’m looking forward to where you can really mine every element. That being said, a lot of the film is in an air balloon — it’s two people in a balloon — so I think there’s going to be effects and all that sort of stuff. We’ll see how we go about shooting it. But I’m incredibly excited about what the script is. It’s by a brilliant man called Jack Thorne and directed by Tom Harper, who I think has such vision. I really hope it ends up being a special piece. And I think I’ve spoken to you guys about it before, but the thing you react to in a script is how it makes you feel, and when I read this script, it just felt unlike anything I’d ever seen. Marci, U.S., who runs The Redmayne Files, the fastest growing Redmayne social media accounts on Tumblr, Twitter and Instagram: I was intrigued to hear that Nick Park cast you as Dug based on your portrayal of Osmund in Black Death. Do you feel like you brought something of Osmund into Dug’s character? And I’m curious how you might use bits of one character to help you get in the mindset for another — for example the way that the Asperger’s traits from Gordy in The Yellow Handkerchief seem to also be found in Newt Scamander. Eddie: Wow, you guys do ask the questions! I was so shocked to hear that Osmund from Black Death was the character that got me this film, and talking about Yellow Handkerchief, both of those films are films that very few people saw. But weirdly it was Yellow Handkerchief that James Marsh saw that got me cast in The Theory of Everything. And so it’s interesting that perhaps those films that you do that don’t find an audience, they’re all as important, and putting 100 percent into them all, is obviously so important. I was talking to Hannah (Bagshawe, his wife) about this the other day: when you watch performances and actors whether they change from job to job or whether they’re entirely transformative or whether you see the traits — “that person is doing that thing again.” I feel like when you’re observing, you can have an opinion on that, but when you’re the actor, you can’t tell. (Laughs) I’m not quite sure what the answer is, whether I’m the best judge of it. But I was definitely not thinking about Osmund when I was voicing Dug. I was actually thinking about this voice I do for this teddy bear that we have..that’s slightly high-pitched and enthusiastic, and that morphed somehow into Dug’s voice. But I also wonder when you play several characters, often a character will have a trait that is what a director then sees that is why they hired you, and so you sort of end up accessing perhaps those same places. Basically what I’m saying is I’m probably the worst person to judge. You guys are probably better judges than I am. Ali: Dug is kind of the anti-hero. He isn’t the type of individual to go out and save the day. What is it about Dug that drew you to him and what do you hope others realize about him? Eddie: I think with the state of the world as it is at the moment, he has an absolute optimism, and I think it’s becoming more and more of a rare thing — people who have real optimism despite hurdles being put in front of them. And I love that in him, and I love that in Nick Park’s work — the joy and the warmth. And when it’s a tricky time, just reminding young people, people of all ages, that you need to find that child-like enthusiasm in life because you’ve only got one. Ivonne: I’m curious about the challenges as an actor, especially one with a theatrical background, to give voice to an animated character like Dug. Does the process allow you have any creative input into the construction of the character? Eddie: The answer is, when I started on my first day, rather than turning up and just having the script and working out who the character is, they had already showed me this kind of sketchy animation and this test of how he moves, and so it was more about my voice fitting with him than the other way around. And so I took his character traits like his massive eyes or his really large mouth and his eternal optimism, and you try to find a way for those two things to merge. Nick is one of the most generous directors I’ve worked with but also one of the most specific, and what’s so lovely is…you do hundreds of takes, which I love, but occasionally I’d go, “Nick, would you say it?” Weirdly (with) so many of his characters, you can see his face literally turns into those characters — to Wallace and Gromit — and his voice sounds so brilliant. More so than with any other director I’ve ever worked with, I’d take what he said, and then I’d try to copy it. Charlotte: It sounded like the logistics of Early Man and the two Fantastic Beasts production schedules were both somewhat conducive to family life. Are you committed for now to staying close to home to do your work, or would the right project get you back to a long location shoot? Eddie: Absolutely, and the hilarious thing, again, that may look like that’s something that was sort of chosen, but early on in my relationship with Hannah, I said, look, my life is, our life is going to involve a lot of traveling. You know, I was in Budapest for two years, I was in North Carolina, Louisiana, and now New York — it’s going to be a nomadic life. And Hannah, she loves that and is super up for that. Ever since then, every single film — like Les Mis, she was, “Are we going to Paris?” And I was, no. And Fantastic Beasts was set in New York, and she was, “Please, tell me…” and no, she can go to Watford (the Warner Bros. Studio location outside London). 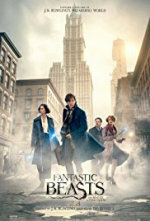 For the second Fantastic Beasts, when Jude (Law) got the part (of Albus Dumbledore), I emailed Jude saying, “Please, if you haven’t signed your contract, will you demand that they shoot at least some of it in Paris?” And we shot it all in Watford. And so the answer is: We’re really up for traveling, it’s that no one else is. Charlotte: It sounds like you would take your family with you, then. Eddie: Yeah, I think so. That would be the plan, particularly when Iris is little and when the little one arrives. Yup. Marci: Have you taken your little girl to see the movie yet, and if so, what did she think? Eddie: Oh, no. She watched the trailer. She had such a short attention span. I mean, she’s not really into telly and stuff. But when Hannah recently traveled with her to America on a long-haul flight, suddenly the week before we were trying to desperately get her into iPads so that she might have something to distract her for the flight, but she had none of it. Marci: Wait ‘til she picks it up, and you’ll never get her off of it. Eddie: Thank you! Thank you, guys! Speak to you soon! 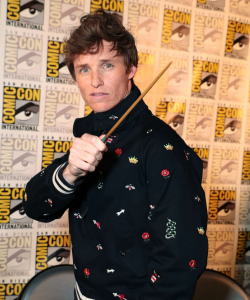 January 2, 2019 Happy Birthday, Eddie Redmayne!